EnergyNet last week signed a Memorandum Of Understanding (MoU) with the International Gas Union (IGU) for the upcoming Latin America-focused investor summits Latin America &amp; Caribbean Gas Conference &amp; Exhibition, 9-11 October 2018, and the Latin America Energy Forum, taking place in Miami next year. 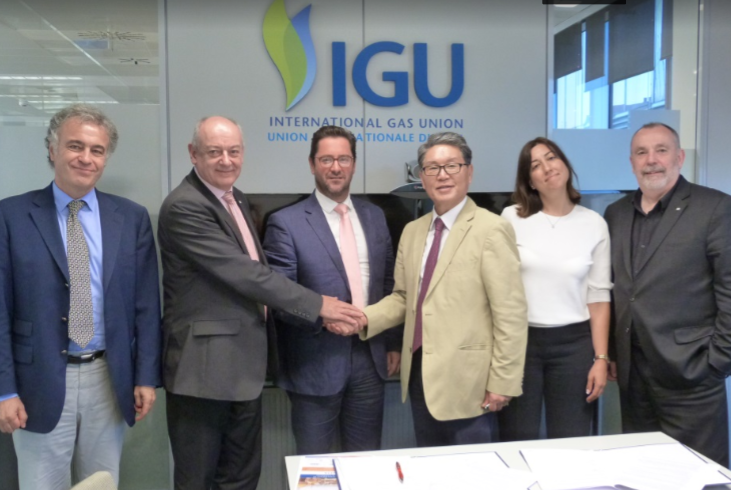 As the largest natural gas organization in the world, IGU’s 150 members include industry associations and corporations representing 97% of the world gas market. As a non-profit company its mission is to defend gas as an integral part of a sustainable global energy system, promoting the political, technical and economic progress of the industry. This milestone marks a new quest for the IGU in promoting natural gas development for Latin America and the Caribbean countries thanks through this strategic alliance with EnergyNet. The alliance between IGU and EnergyNet will provide the energy ecosystem of Latin America and the Caribbean with a unique platform to meet EPCs, OEMs, IOCs, NOCs and service providers across the whole supply chain through energy-focused investment summits. “The Latin America and Caribbean Gas Conference is the vehicle that the IGU has structured with the objective of promoting the development of gas markets, their integration at the regional level, and its contribution to sustainable energy policies and the growth of the economies of the region,” commented Luis Bertran, Secretary General of the IGU. EnergyNet organises a global portfolio of investment meetings focused on the power sectors across Africa and Latin America. For the last 25 years, EnergyNet has worked in Europe, the USA, China and across Africa &amp; Latin America to facilitate summits where international investors build relationships with public sector. Both organisations share the objective of accelerating the development of the gas industry in Latin America and the Caribbean, addressing bottlenecks in the different regional gas markets and promoting solutions. This partnership represents an enormous contribution to the meeting and region. It will facilitate the meeting of significant public and private investors in the gas market, increasing investments and ensuring the success of projects in Latin America and the Caribbean,&quot; commented Simon Gosling, Managing Director of EnergyNet.